Hello! To all the enthusiastic adventurous women, including those seasoned at doing things on their own and those, like me, who are just breaking free of their shell and working towards doing more things outside their comfort zone. I was born and raised in South-Central Texas (AKA San Antonio area). I've lived in Atlanta, GA for a year and also in Austin, TX for 6 years, but South Texas has my heart! As a young girl, I spent a lot of time with my Dad floating the Frio River, camping for 1-2 weeks at a time. That is where my love for the outdoors began. Mike, my husband of nearly 24 years, and I used to spend several weekends a month camping at Medina Lake, Tx during the summer. I'll do almost anything to be near a lake or a river! But we moved away for a while and that habit went by the wayside. In the past few years, my love for the adventures of Texas has been rekindled! 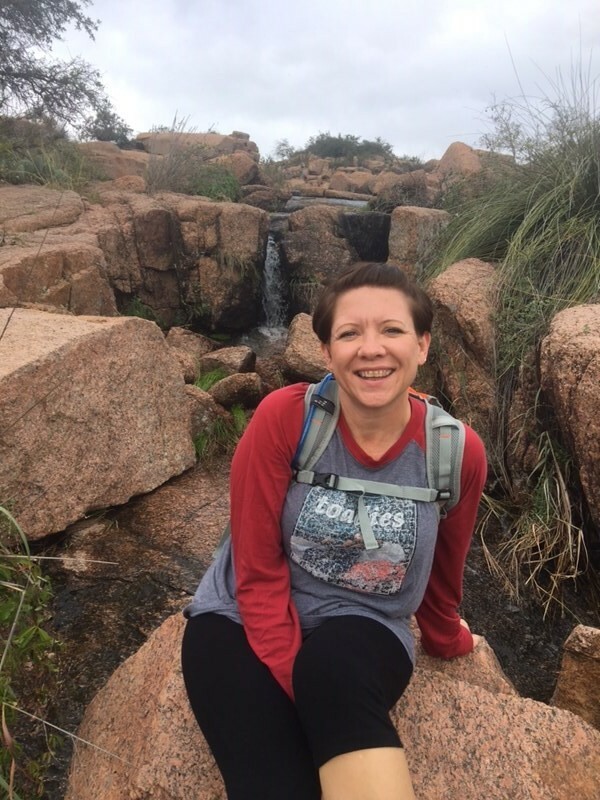 We've spent much more time at Medina Lake and on the Frio River, hiking Government Canyon State Park near our home in San Antonio, and hiking Enchanted Rock State Natural Area outside of Fredericksburg, TX. I'm looking forward to expanding my reach and my definition of "Adventure", and in the processes learning more about my state and meeting all the great Texas Women around the state. Let's face it, Texas Women are a breed apart! There is something of those Frontier Women that still course through our veins! For those of you not born here, you got here as soon as you could and we'll make you honorary Texas Woman soon enough! Recently I've found myself in a rut and not so "happy". In working with a life coach and paying attention to my desires and the things that do make me happy the reoccurring theme was: the outdoors. I'd been silently following our fearless leader, Jenny, for about 6 months. Day Dreaming about joining WOA and talking to her about becoming an Adventure Ambassador for Texas. When these desires came to light it just made sense to break through my fear and do it. Here we are! I may not be the most knowledgeable person, currently, about: camping, hiking, etc. BUT I am the most stubborn! My problem-solving skills will keep my head afloat and I honestly believe that there isn't anything that a group of determined women cannot accomplish! I'm looking forward to getting to know everyone and helping us all flourish! PS Let me just add that my definition of "Adventure" doesn't just mean outdoors or something physical. Doing most anything without my husband at my back (or leading the way) for support is a huge step, although he's always there in spirit.